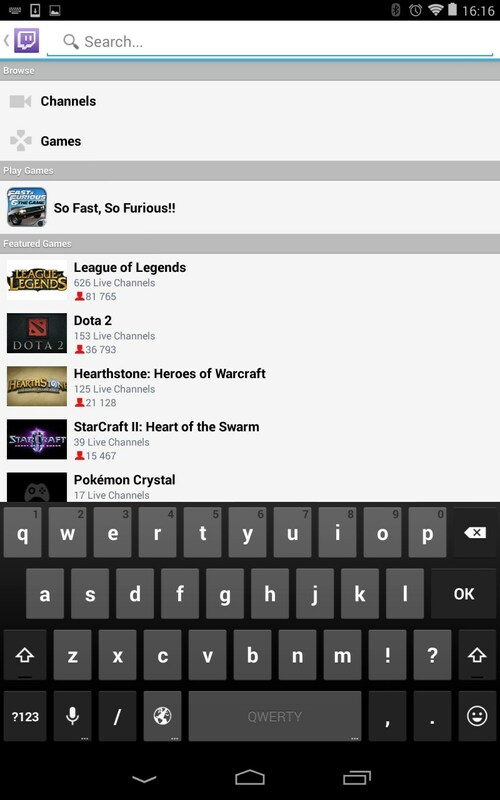 Twitch – Soft for Android 2018 – Free download. 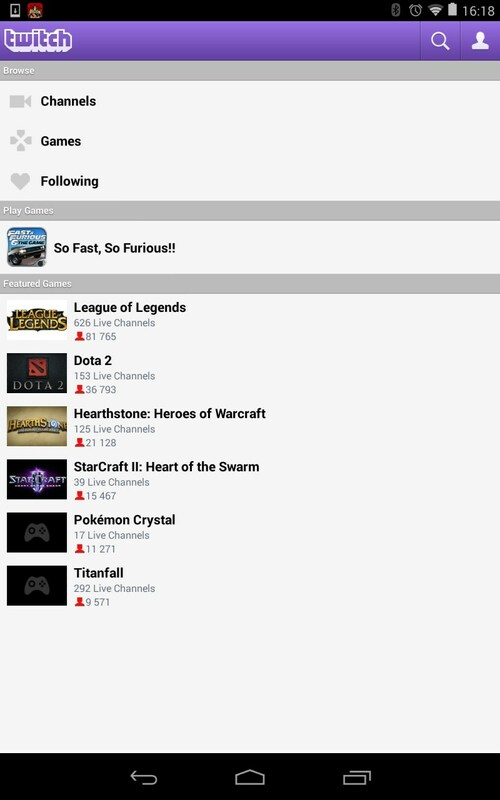 Twitch – Video network for pro gamers. 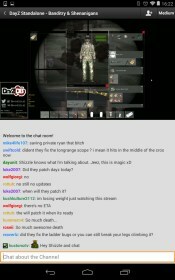 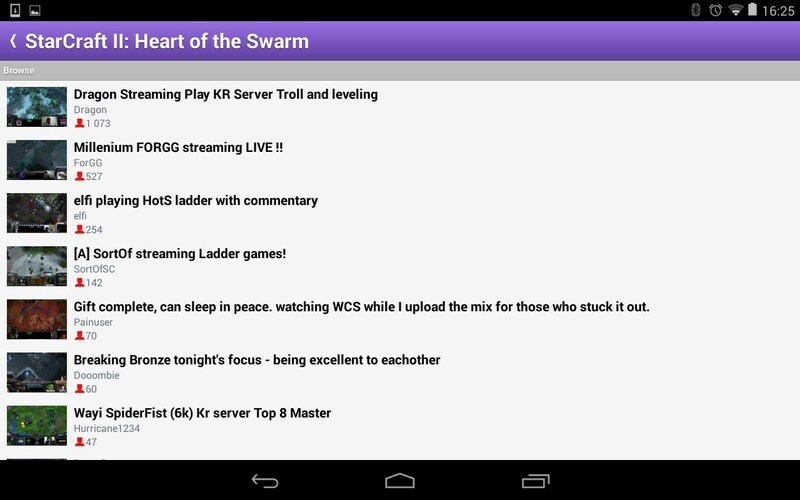 Twitch is a light but really interesting app for Android that will become the favorite of gamers. 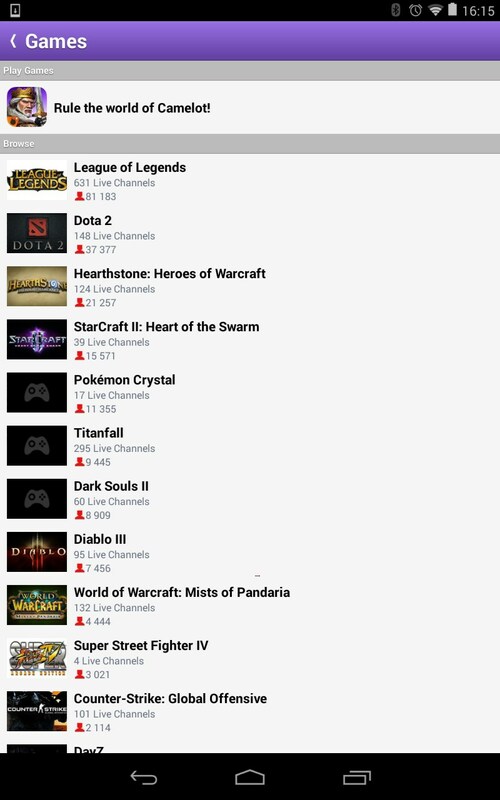 It’s a kind of online cinema where you will be able to watch hundreds of on-air championships in the world’s most popular games. 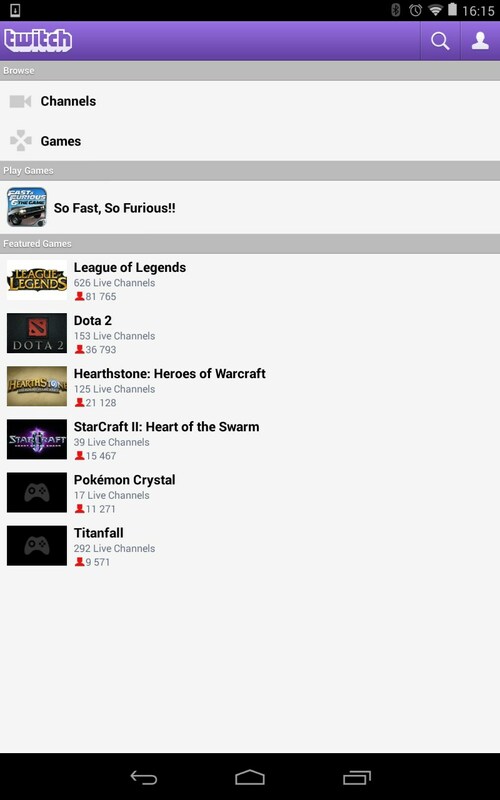 The program is user-friendly and lets you watch videos without lags even if your Internet connection is unstable. 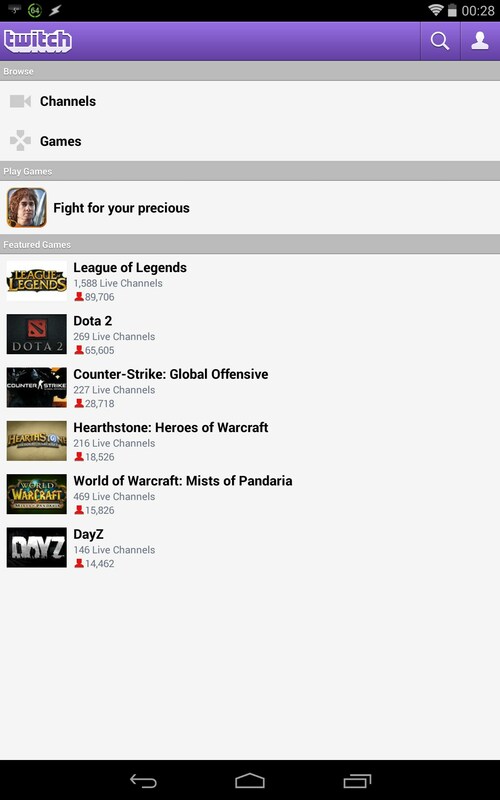 The app interface is really simple and features only two main options: channels where you can watch the most popular broadcasts and games where the broadcasts are grouped by game titles. 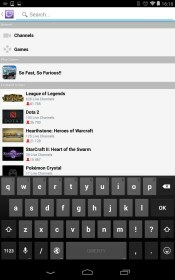 Also, you will be able to use the built-in search system and look for particular games or channels. 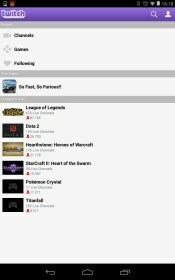 The app is pretty cool since it lets you watch many competitions where professional teams are taking part and peek on their tactics. 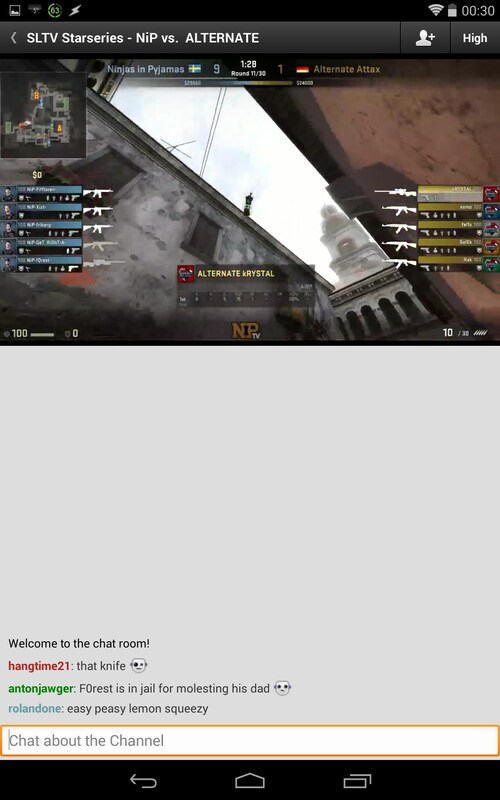 Every room will have a built-in chat where you will be able to discuss the broadcast. 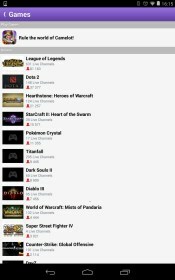 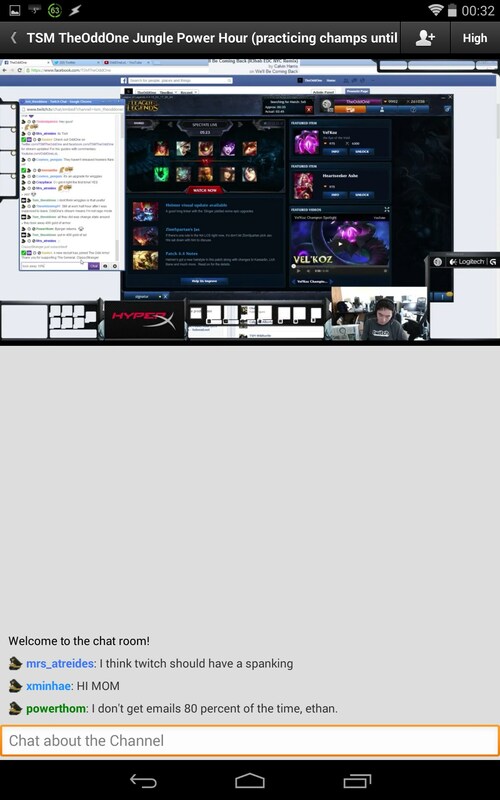 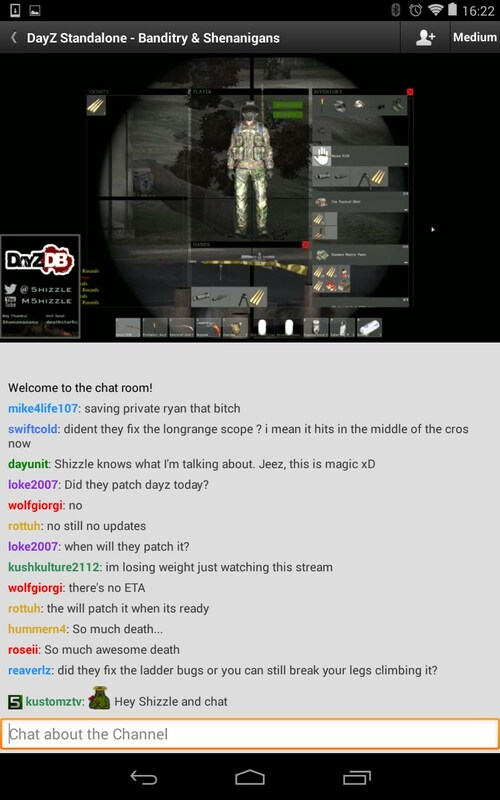 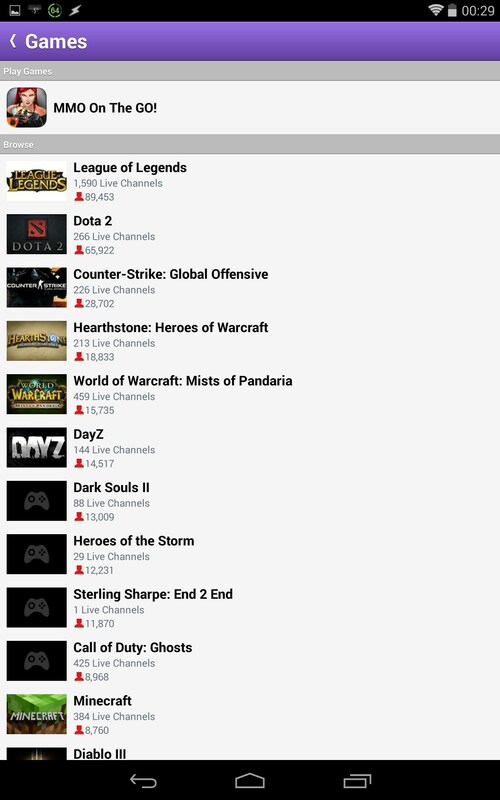 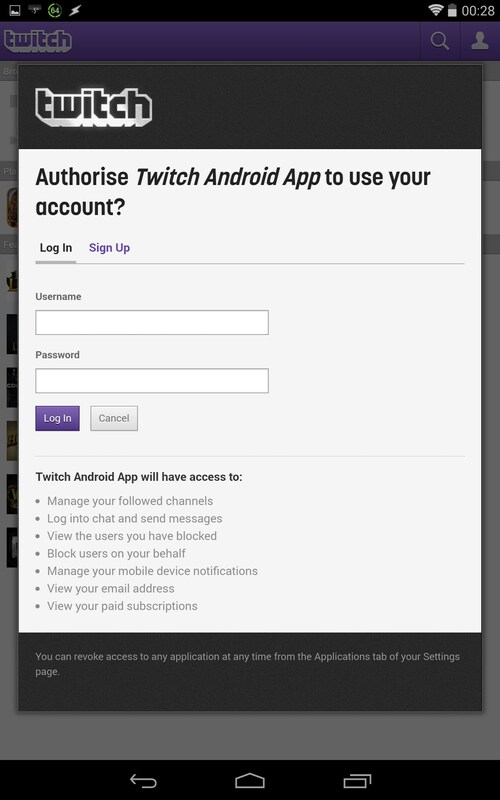 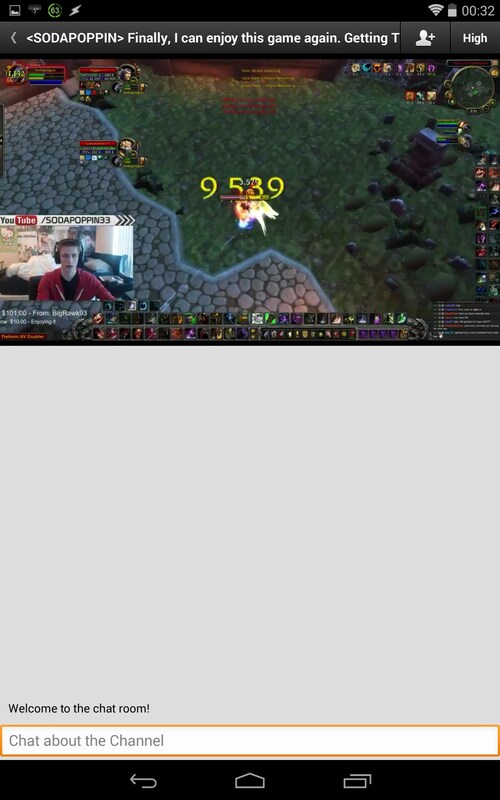 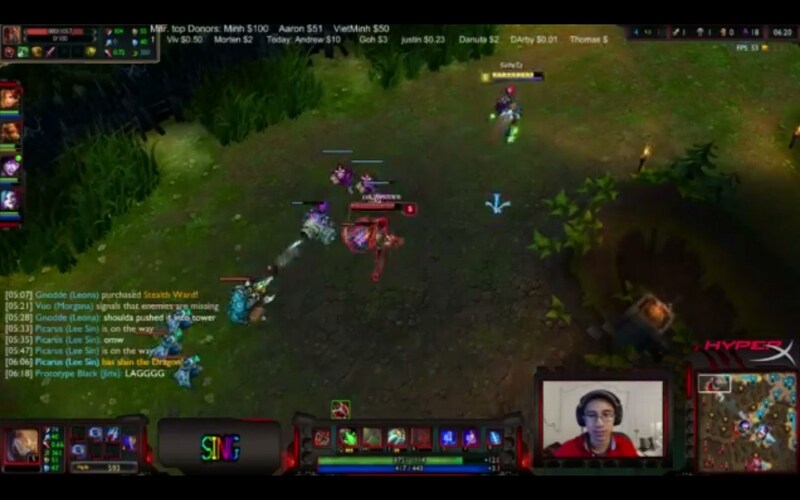 Twitch is a pretty useful application for Android that is a perfect fit for gamers. 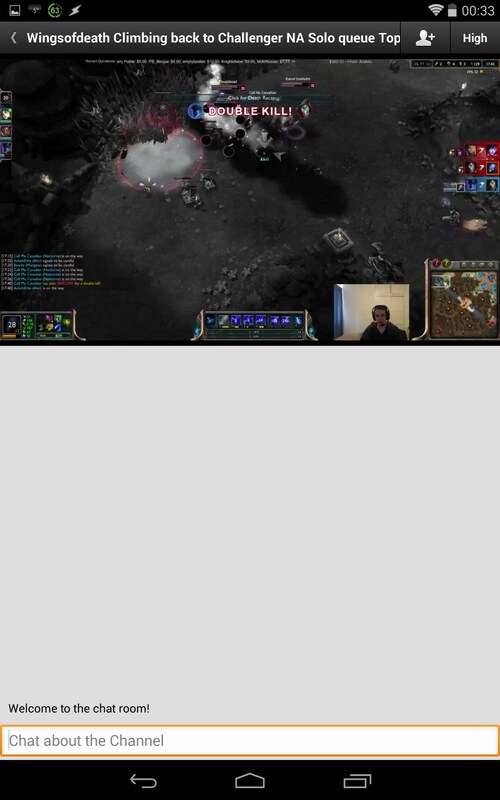 Watch professional competitions in dozens of games, discuss them with other people, and enjoy real-time reviews by commentators. 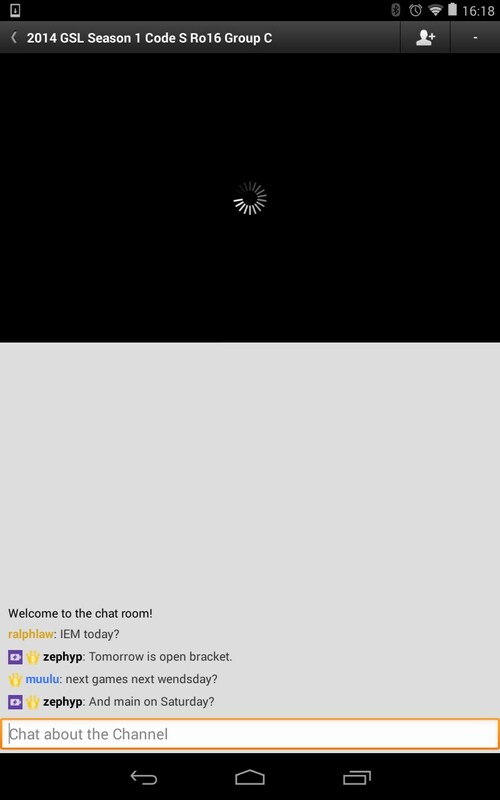 Probably the only drawback of this app is its interface, which looks a bit tacky. 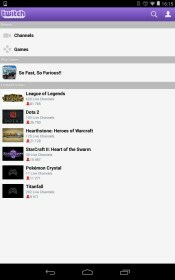 The app is distributed completely for free.